One thing is clear, quality is still more important than quantity. Especially with the current economic downturn, people are downsize everything – including online social circles. November 17, 2010 was declared by Jimmy Kimmel during his television show as “National Unfriend Day”, the opportunity for all Facebook users to declutter their Facebook pages by “unfriending” people in their friends’ lists. He claims that Facebook has been “cheapening” the idea of friendship. 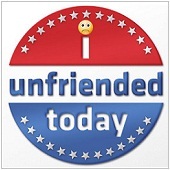 To many the idea was hilarious, but others are seriously considering the wisdom of unfriending. Is Kimmel on to something here? Can unfriending benefit your online business? Research shows that as social media gets bigger, we’re getting smaller. Brian Wong, a network marketer says it simply: “With the growth of social networking, I am finding it increasingly difficult to separate business connections and personal connections.” He says that having almost 1,000 friends on Facebook has made it difficult for him to see the feeds and updates of his “real” friends and important business partners. Lately there is a growing trend of de-scaling on the internet. People have started “pruning” their social lives online. For example, the popular Farmville app lost 30 million players this year, and people are beginning to realize that conversations and comments are more important than a huge number of blog hits. So how can de-scaling and unfriending help your business? The drive to be more intimate can benefit your business by allowing you to form a tighter circle of customers, more successfully establishing you as a preferred channel for consumption. Path – Offers small-scale communities where people feel more comfortable sharing personal information. It controls who can view your information and does not include features that make your content viral. Letter.ly – A subscription-based newsletter for bloggers who feel that public posts decrease the quality of conversations. This newsletter opens discussion only to people who pay, or who are privately invited to read a blog post. GroupMe – A texting app which limits your group text participants to only 14, to ensure that meaningful dialogues take place. 1. Be selective in your communications. Of course, your product is important – to you. But not every little detail is as important to your audience. Be sure to focus on key features and benefits from your audience’s perspective. Always give relevant communications to your customers, and never rant or badmouth competitors. This is a sure way to lose customers. In addition to talking about your product or service, find ways to provide value to your circle of friends. Understand topics and pain points important to them, and provide valuable information and advice to help them succeed. You’ll soon come to be considered as a valuable resource to your contacts – one that they want to keep in their online social groups. One thing is clear: quality is still more important than quantity, especially in the current economic downturn when people are downsizing everything. Start “pruning” your social network – and take steps to avoid being pruned – and you’ll reap the benefits of having a tight circle of loyal friends and customers.